HMH Books for Young Readers, 9780544542587, 384pp. 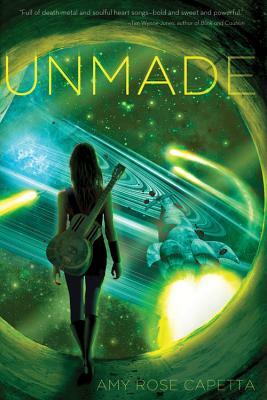 A rock star on her home planet of Andana, seventeen-year-old Cade now has to use her unique talents to do nothing less than save the human race from the Unmakers. As Cade struggles to stay close to her strong-willed crew and get even closer to Rennik, the ship’s fascinating and frustrating pilot, her life becomes a tangle of love, death, and lyrics. This suspenseful sequel to Entangled is akin to the beloved Firefly series, complete with warring spaceships, warped villains, and a universe-altering conclusion.